The statement was based on the Confederation of African Football (CAF) decision to disqualify Sierra Leone, who are serving an indefinite FIFA suspension, from taking part in the qualifying matches of the tournament. Sierra Leone, who were in Group B alongside Kenya, Ghana and Ethiopia had only played two matches when the world’s football body suspended their FA due to third party interference in their operations. The CAF’s decision which was taken last Friday during an extraordinary meeting of the Executive Committee left the group with only three teams with Kenya tops followed by Ghana and Ethiopia, who are out of contention for a spot in the next edition of the biennial championship. Interestingly, CAF did not expressly state that Kenya and Ghana are through to the tournament whose initial hosts, Cameroon, were last week stripped of the rights for unpreparedness. Neither did Ghana Football Association, under a FIFA normalization committee, give a statement confirming their qualification; all the celebrations came from the Kenya’s side with President Uhuru Kenyatta leading the way. So why the caution from the other side of the divide? Two teams, including hosts, from the 12 qualifying groups are supposed to sail through to make an expanded 24-team competition. However, Cameroon being stripped of the hosting rights presents a tricky possibility of a group that will produce their replacement having three teams making it to the finals if that country fails to qualify automatically. In such a scenario, one group will have to produce just one team, most likely Group F, which now have less teams. For some reasons, Cameroon deemed it fit to take part in the qualifying matches, which is unusual for designated hosts and will only need a point away to Comoros in match day six to qualify. South Africa, Morocco and Nigeria are being touted as the front runners in the race to rescue the Africa’s flagship tournament. A final decision will be announced before the end of the month. Morocco and Nigeria have already booked their spots in the 32nd edition of the continental championship. But floundering South Africa on the other hand will have to avoid losing away to Libya to be safe. If they crumble in Tunis and CAF picks them to step in for Cameroon then Kenya will be in real danger of missing out if they fail to keep their top spot in Group F.
CAF urged South African FA (SAFA) to seriously consider stepping in to salvage the tournament, and according to sources, they have accepted the challenge and are currently engaging the government for support. 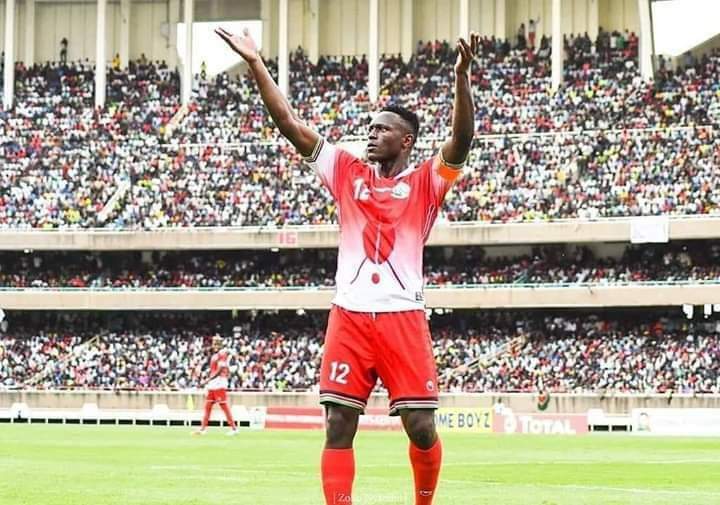 Kenya will travel to face Ghana in match day six in March next year and to be 100% sure of making a return to the Africa’s grandest footballing stage for the first time in 15 years, the Harambee Stars MUST avoid losing to the Black Stars. If the recent disappointment whereby Kenyans thought the national women’s team, the Harambee Starlets, had qualified for the AWCON 2018 only for CAF to pluck the meat right from their teeth days to the event is anything to go by, then let FKF be warned that with the Cairo-based organization, the unexpected can happen anytime and Stars better be safe than sorry.